Russia, to paraphrase Winston Churchill, is a riddle wrapped in a mystery inside an enigma. The key to understanding Russia, however, lies in her history. For more than three centuries until 1917, members of the Romanov family ruled Russia as absolute autocrats, unbounded by law but subject to limitations imposed by religion, custom, tradition, the nobility, and bureaucracy. 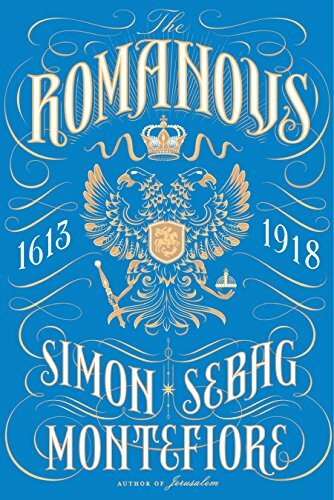 As Tsars and Tsarinas, they were, writes Simon Sebag Montefiore, “the most spectacularly successful empire-builders since the Mongols,” eventually ruling one-sixth of the earth’s surface. Montefiore’s new book, The Romanovs, adeptly interweaves the personal, political, and geopolitical aspects of Romanov rule. It is a tale of treachery, sexual debauchery, political scheming, geopolitical maneuvering and, at times, diplomatic incompetence among the Russian elite, and tragedy and suffering for millions of Russian peasants. Ivan’s death in 1584 was followed by a “time of troubles,” when pretenders to the throne and their supporters launched plots, schemes, coups, and counter-coups in a seemingly endless struggle for power that produced civil war, instability, and weakness. In 1613, Michael Romanov became Tsar, beginning a political dynasty that ruled Russia until Nicholas II’s abdication in early 1917. The Romanov rulers were a mixed lot. Some were licentious adulterers, sadistic torturers, political schemers, drunken fools, and imbeciles. Others, however, exhibited brilliance, creativity, and even greatness. Catherine the Great conspired to overthrow her husband, Tsar Peter III, a move that eventually led to his murder. Catherine’s enlightened and educated worldview did not prevent her from consigning tens of thousands of peasants to serfdom. “[W]hen her power was challenged,” notes Montefiore, “she was ruthless . . .” “It’s necessary,” Catherine once said, “to have a wolf’s teeth and a fox’s tail” to govern Russia. Alexander I fought and eventually triumphed over Napoleon Bonaparte in the early 19th century, but his reign swung “between fluffy liberalism and irascible autocracy.” He had, writes Montefiore, “a taste for clandestiny and a talent for serpentine maneuver.” Alexander I’s liberalism unleashed forces in Russia that eventually brought down the dynasty. Alexander was succeeded by his brother Nicholas I, who began his long reign by crushing the Decembrist revolt in 1825, whose leaders were hanged, imprisoned, or sentenced to hard labor or Siberian exile. Nicholas, writes Montefiore, “was a natural autocrat,” creating a secret police and “political police force” in order to identify and crush any opposition. Abroad, he joined Europe’s other autocracies in attempting to crush liberal movements and revolutions wherever they appeared, and engaged in the “great game” with England for control of the Near East and Central Asia. Nicholas’s son, Alexander II, the “Tsar Liberator,” freed 22 million serfs in what Montefiore calls “the greatest achievement of Russian autocracy.” He created an independent judiciary, local assemblies called zemstvos, eased the repression of Jews, and encouraged the publication of newspapers and journals. Montefiore compares these moves to Mikhail Gorbachev’s perestroika in the mid-to-late 1980s. Alexander III, nicknamed “the Colossus,” encouraged and institutionalized reaction and repression and managed to keep the lid on the revolutionary pot. His successor, Nicholas II, was not so fortunate. He waged wars with Japan in 1904–1905 and Germany in 1914–1917, and those wars bred revolutions, the latter of which ended Romanov rule. A succession of weak provisional governments—a second “time of troubles”—gave way to the Bolsheviks who seized power in a coup in November 1917. Lenin re-imposed autocracy, institutionalized terror, waged a brutal civil war against the “Whites,” and paved the way for Stalinist totalitarian rule. Looking back over the broad sweep of Russian history, Montefiore views the time period between the end of Soviet rule and Vladimir Putin’s ascendancy as a third “time of troubles.” Putin, he believes, has simply established a “new version of the old autocracy.” Like its Romanov and Soviet predecessors, Putin’s rule is based on security at home and imperial ambition abroad.